More is better! As great as a single four-barrel carburetor is, nothing gets you moving quite like a multi-carb setup. 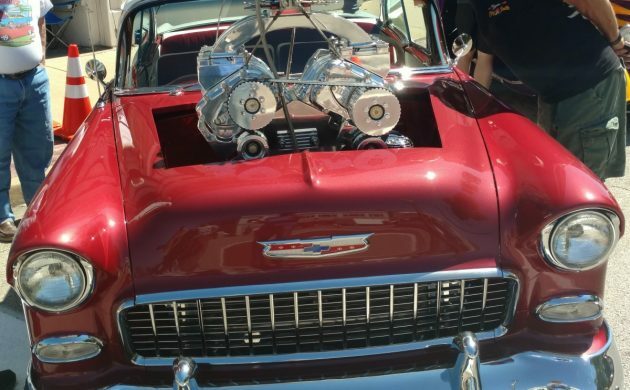 This 1957 Chevrolet Bel Air raises the bar with its array of three two-barrel carbs or “Three Deuces”. What’s cooler than that? Modest driving uses the fuel-efficient center carb. Burying the pedal calls the front and rear carbs into action when you don’t care how much gas you have to burn. Sometimes sanity requires that you dust off that left-lane bandit who finally moved over after taking 9 minutes to pass a dump truck on the Interstate. After a long hiatus in an airplane hangar, this sweet Chevy in Thousand Oaks or “T.O.” California received some TLC and now runs and drives. Offered for auction here on eBay, at least 36 bids have driven the market value above $14,100. The seller claims to have set the reserve at half what similar cars have sold for recently, so this may represent a solid opportunity. 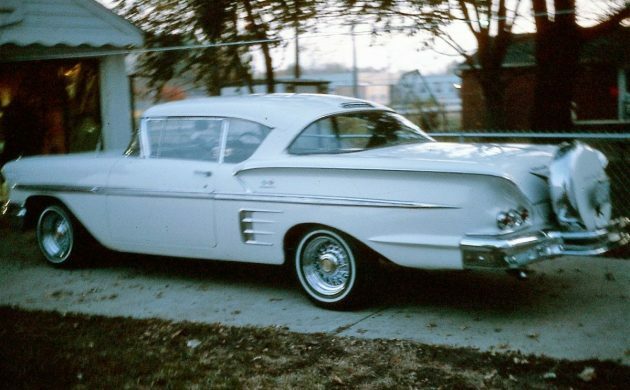 After decades of reliance on straight-six engines, Chevy brought the 283 cid “small block” V8 to market for model year 1955, the first year this fabulous “Tri-Five” (55, 56, 57) body style began. The rest is history. 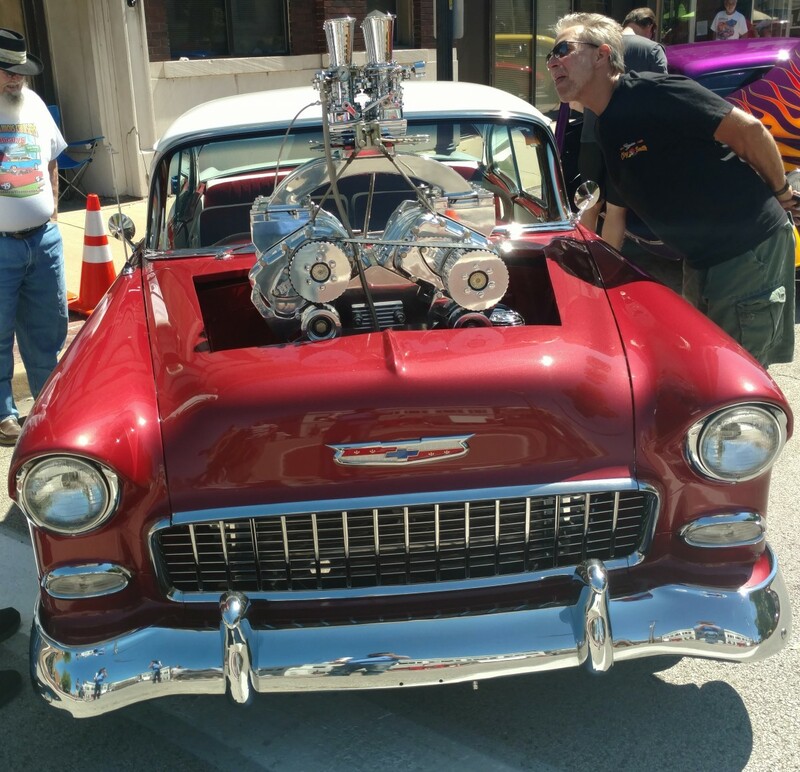 The small block became the most popular hot-rodding motor of all time and the Tri-Five Chevy became one of the most iconic representations of automotive coolness. Some decades ago, owning a nice one was akin to having a license to print money. While the tide may be going out on those days, they’re still one of the coolest rides going. 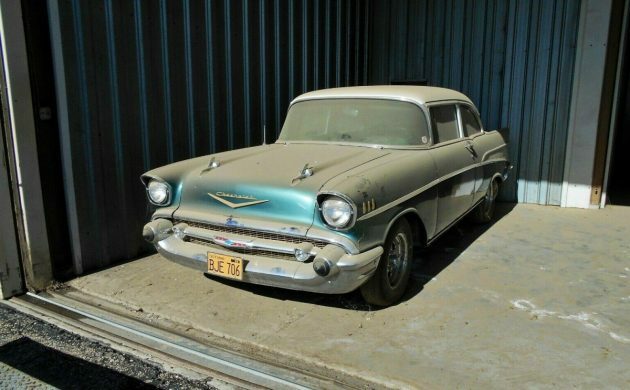 This Bel Air appears to have been given a thorough once-over in the 1980s including front disc brakes with a multi-circuit master cylinder and power booster. 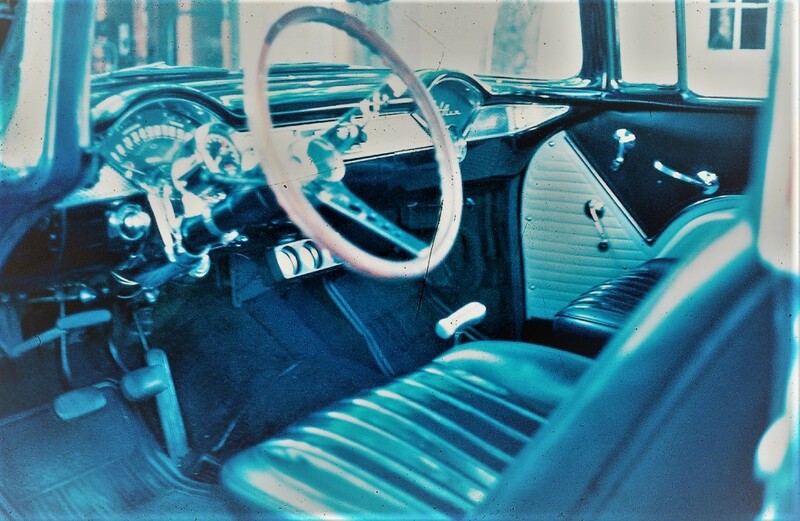 That steering wheel has got to go, but the floor-shifted four-speed with bench-seat is perfect. This Chevrolet will need electrical and other work before becoming a reliable driver, but it’s light-years ahead of others we’ve profiled. 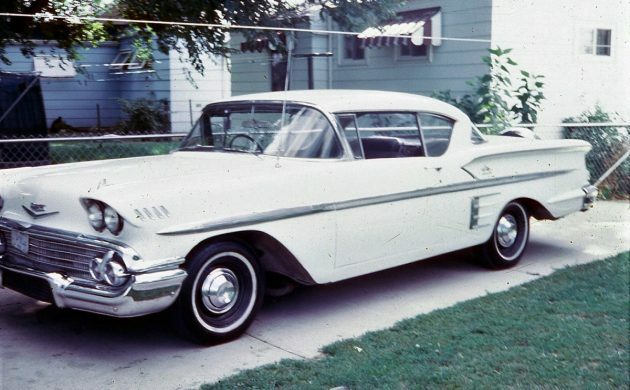 Fins hit full stride on many American cars in ’57 and became most pronounced on the Bel Air that year. 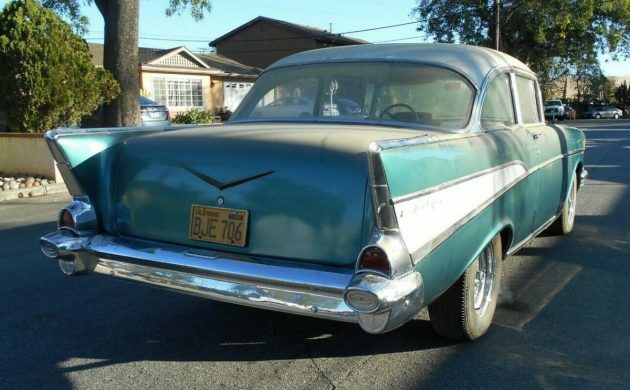 Chevy also added the broad trim panel on the rear quarters, distinguishing it from the ’55 and ’56 with a style that renders it many enthusiasts’ favorite. The generous under-car shots reveal a solid and well-kept undercarriage with mostly painted metal and little surface rust. What’s your guess for the top bid? 1 horse power per 1″ of displacement. Yes , the steering wheel needs replaced for a more era correct model , but I can see why that camaro unit is being used . Looks to me like they swapped the entire column . Wouldn’t change a thing. Clean it up, perform whatever maintenance is required and DRIVE IT. I would change out that steering wheel asap! And the road wheels! Yuch! Ruins a great looking car. That steering wheel and column are blasphemous…….personally I’d prefer an OEM just because I wouldn’t be messing with someone else’s ‘modifications’. Though the 3 Deuces wouldn’t bother me as long as I could reinstall the original manifold and carb. 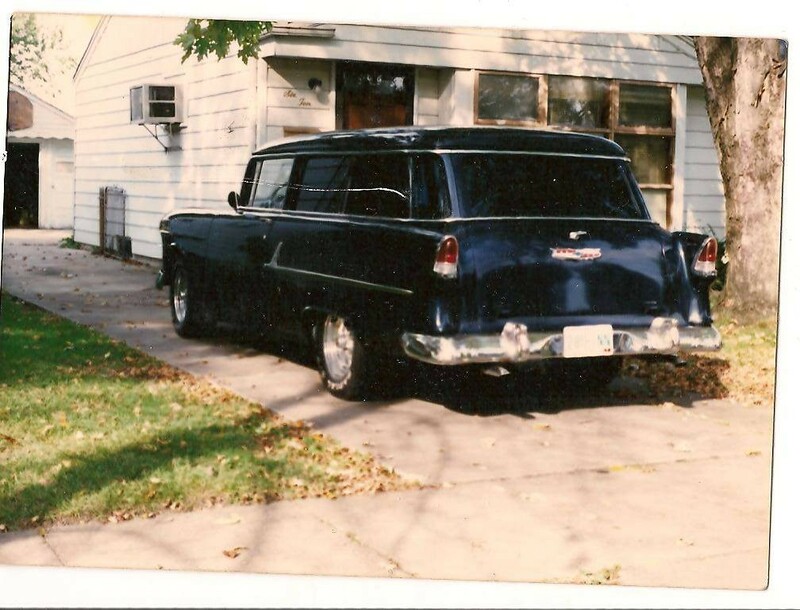 Luckily for me I had a 56 4 door hardtop back when I could buy it for 250 bucks. sweet 57. turn key and enjoy. Mucho wisdom to buy one like this already done. Selller seems honest. good luck to the new owner!!! That’s an honest looking car. If I weren’t 3000 miles away I’d be going to take a look-see. That’s a nice car, but it has a three piece front bumper. All cars sold in California had one piece front bumpers. So this one either wasn’t sold in California or had its’ bumper replaced with a “49 state” three piece bumper. But even if it wasn’t sold new in California, it appears to have been somewhere really dry for most of its’ life. In 1957 there were only 48 states . That would have been the “47 state”bumper. If those are the original California plates to the car that will increase its value by a bucket load. How is it possible not to simply love these cars? The Tri-fives simplicity is their ability to pull one in with the balance of their looks. 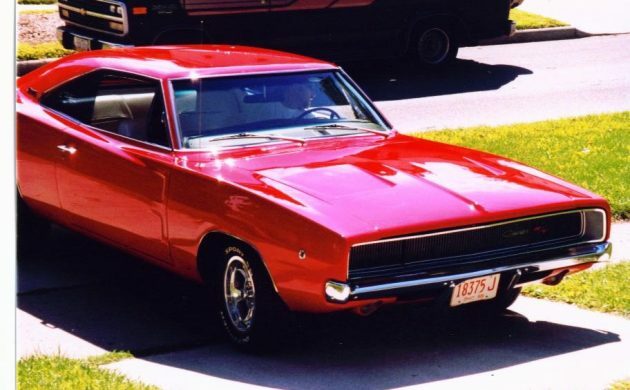 Detroit had to be a special place during this time, as the competition produced vehicles just as nice. Most of the vehicles made during this time have a magical allure to them. The mid-fifties was a special time to be an automotive engineer. If you don’t like these cars, you’re not human. Been doing car shows for decades. 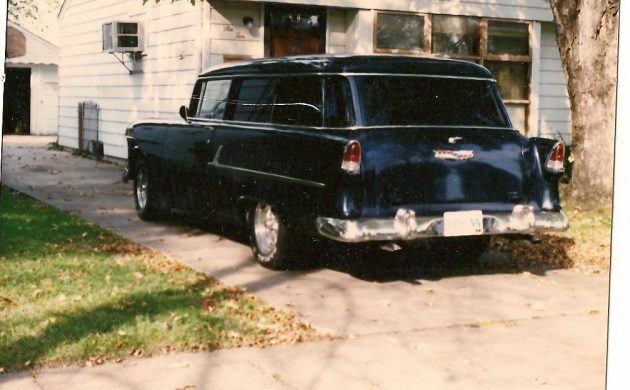 Several years ago I got really sick of 57 Chevys. There were tone of them at every show. Today I see less of them and actually go and look at them again. I am not a green fan, but this is a really nice car. The Chevy V-8 in 55 and 56 was the 265. The 283 did not come out until 57. Also the 55 265 did not come with an oil filter. They sold adapter kits to add an oil filter. The 265 was still used in 57 even though the 283 was new. Looks like something someone will have a great time on the highway once the little stuff is fixed. Hope that’s where it ends up as it should. I built a ’62 Fairlane with a 289 w/ 8-V on it. Backed it up with a built C-4, 3500 stall converter, and a 9″, 5.14 rear end with 4 pinion posi-traction. I never had it on the strip, but cruised Woodward in the late 60’s. Automatic shift at 6500, manual shift at 8500. The primary’s on the 2 carbs were locked together, so I was running a 4bbl all the time. Tickle the grill, and all heck broke loose! Got an honest 12 MPG! Ah, those were the days, from Ted’s to the Totem Pole, and back!! I wished that I could go back! With three deuces it depended a lot on the manifold that was used. The dual plane Offy and the similar Edelbrock like what is on this engine, were fine on a small engine with small heads. 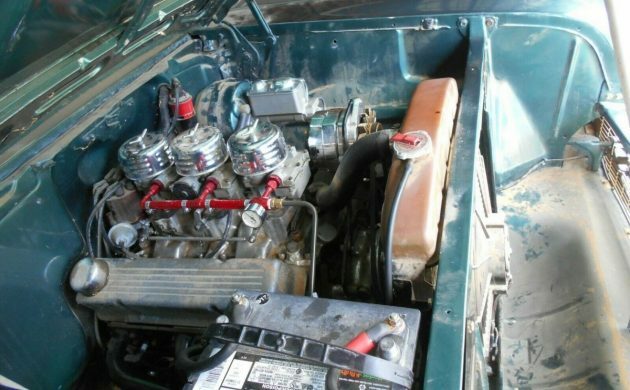 But put it on an engine with some good flowing heads and a couple cubes even just a 327 it would lean out 2 cylinders all the time, if I remember right I think it was # 4 & 5. Run a Edelbrock or Offy single plane then they would run good. And they are impressive to look at. I like them. 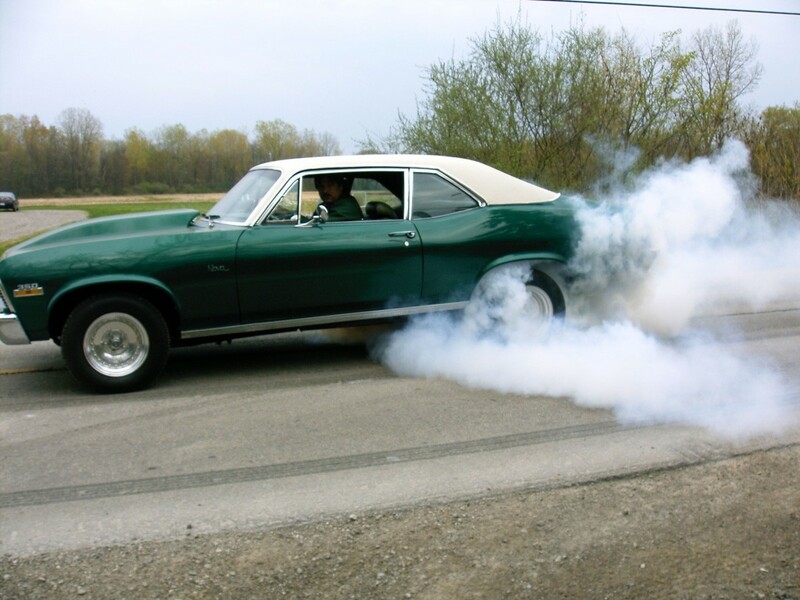 I had three deuces on my 63 Nova SS with a .06 over 283 (292) with some off brand single plane intake, That one really was fast, gave some 396 and 427 chevelles a rough time. Couldn’t beat the 427 but cleaned house on a couple 396’s. Very nice! A car you can enjoy now and change things to your liking as you go. Steering wheel would go first and either Torque Thrusts or Cragers and maybe paint later. Like the three deuces for appearance that you do not see much anymore especially on Tri fives. this is the blue one. Tommy, I hope you’re still looking for the POS that did it. Even if you don’t catch the POS, maybe Karma will do something really bad to the moron. 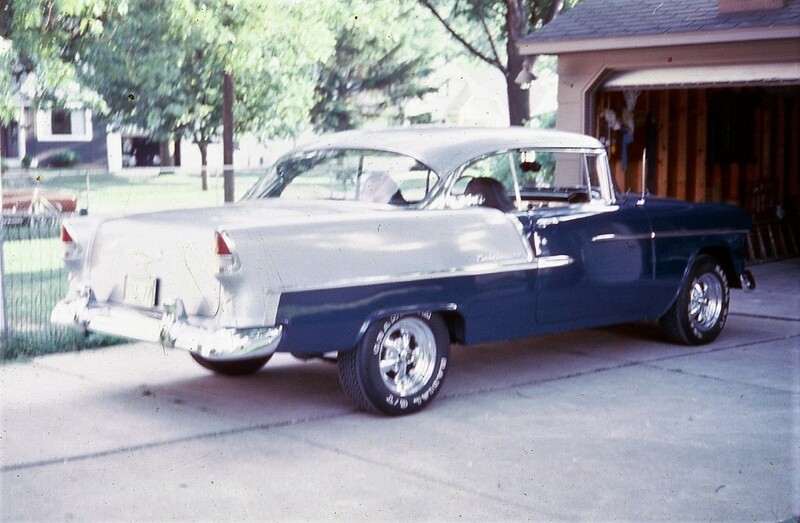 My cousin had a “Show quality” 55 Bel Air 2 door post in Torrance CA in the late 1960’s. It was stolen and stripped twice. After the first one he put it back together with his Social Security number engraved on a lot of the parts. He found the bucket seats at the Pomona swap meet. His brothers stopped him from doing any serious damage to the guy selling them, but the cops never did enough to find the real thief. It was stolen the second time from his parents’ driveway on 190 th. St. in Torrance. The insurance company paid for more parts, but got tired of it and cancelled him so he had to sell it. 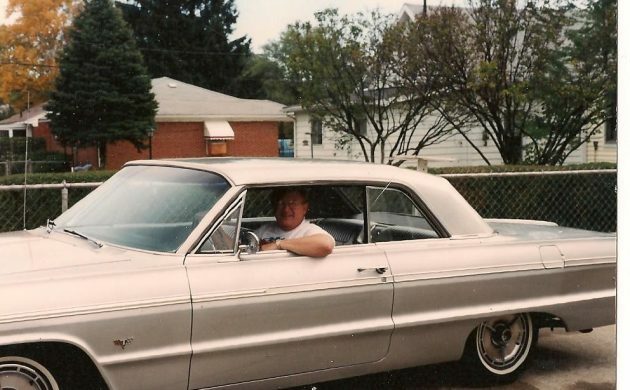 I was 14 at the time and really intended to own that car some day. 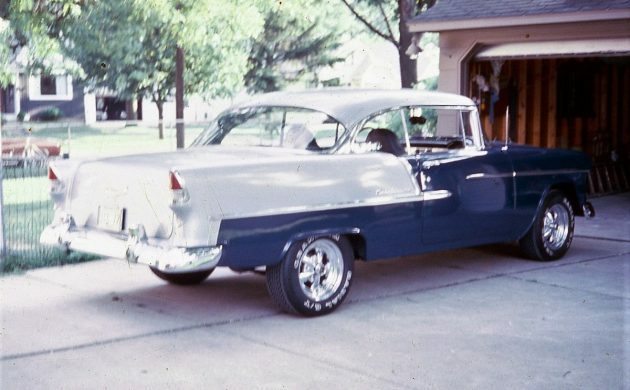 The only good thing about it is the crooks never bothered his brother’s 100,000 mile unrestored 57 Bel Air 2 door HT. I ended up with that one in 1978 and still have it. Looks solid to me. 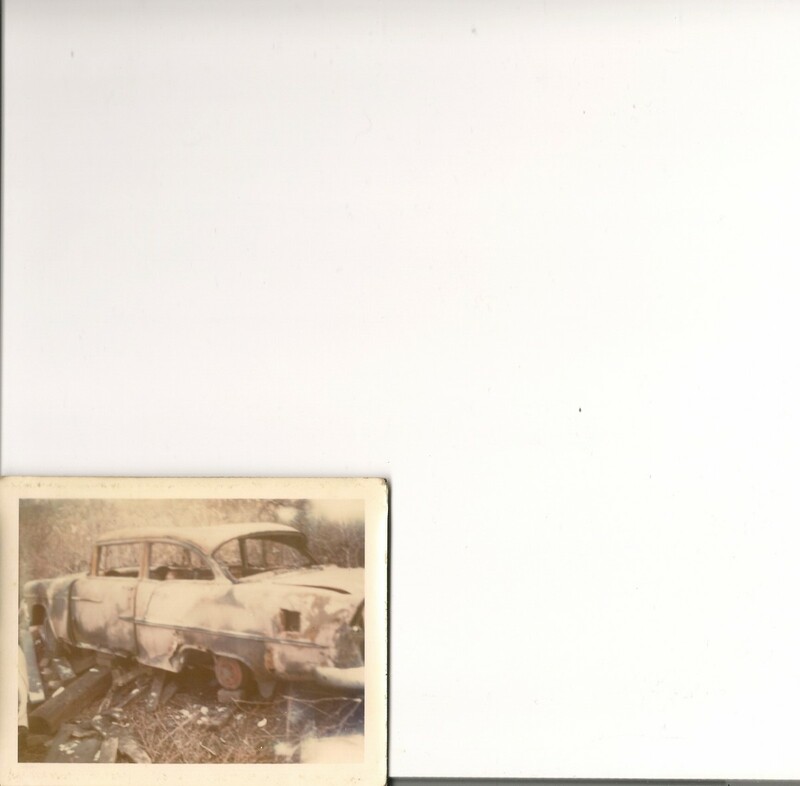 Back in the 70’s my first wife’s sisters husband had a 57. Gold in color with gold and black rolled and pleated button tucked interior. I was away working, and when I got back he sold it for $1800.00. I couldn’t believe it, but he did. A lifter started tapping in it and he with all his wisdom determined it was a rod knocking. I was so pissed because he didn’t say something to me. I would have bought that car, and still have it. wow that had to hurt . do you have anything now wrong way. Keep in mind Tommy, I am 80 years old. I bought each car in my collection new. There is less than 50,000 miles in each Mustang. I always put one away when I would buy a new Mustang. I didn’t really do it for myself. I knew that one day I would have a grandson to pass them on too. I now have that grandson that will cherish and treasure these cars, and hopefully always have great memories of grandpa! Anybody can do what I have done. You just have to have a plan. Have a great day! wow PatrickM sounds like a great 57 you had. I know about kicking yourself in the but too. I have had a lot of cars over the years and loved them all. if I would have had the money and room I would have never got rid them. ha ha that’s a pipe dream I would have had to have a lot of barns. I had to sell one to get another one at the time over the years. raising a family money was tight. 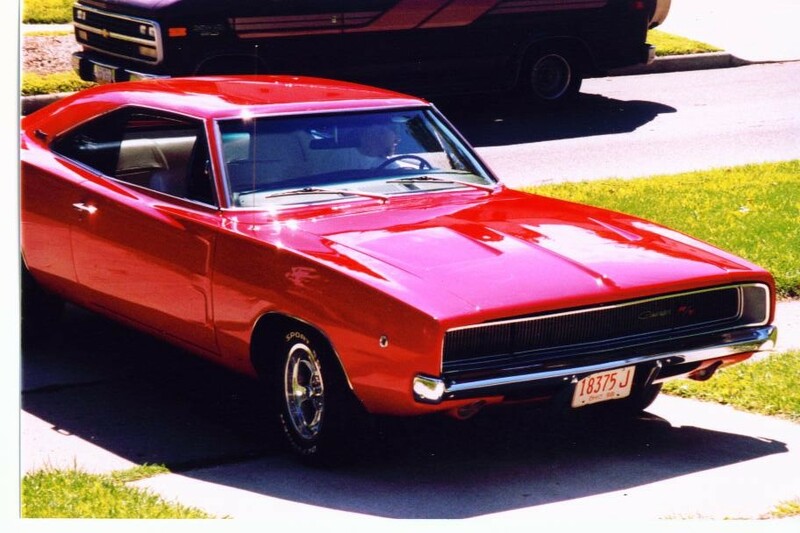 still had nice cars and enjoyed all of them with my family. here is a 1958 impala that I miss. Hi, tommy. 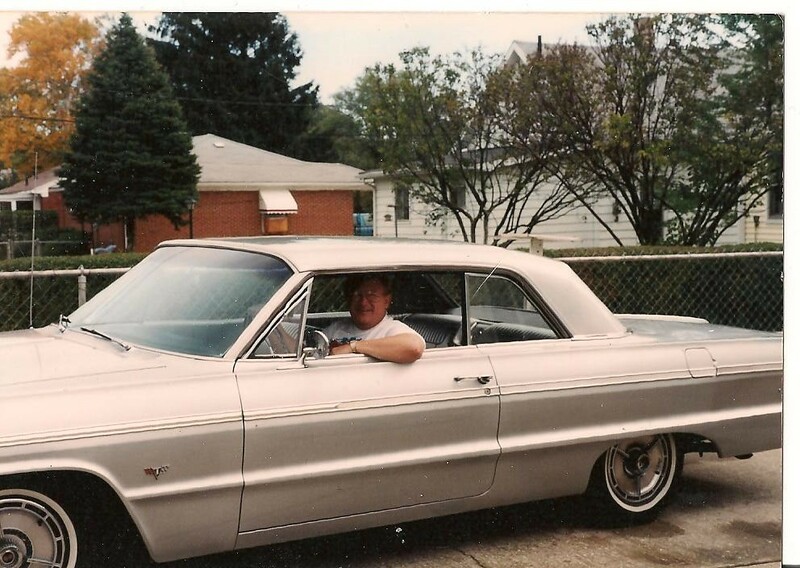 That is a very nice-looking ’58 Impala. I, like, also, the wheelcovers. I was not a fan, of the “baby moons”, on Ron Howard’s “American Graffiti” car. yea back in the day 348 and 409 you could get in trucks. guys use to pull out those engines and make hot cars then. ha ha good old days. 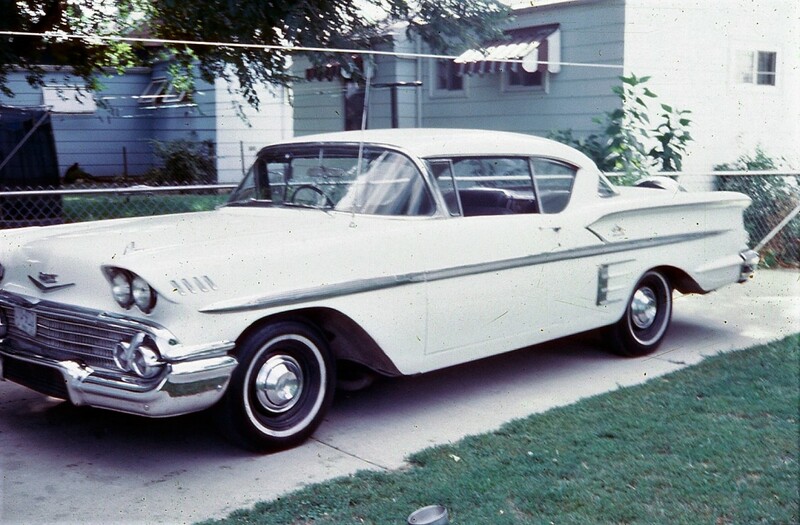 here is my 58 with the hubcaps on it. I loved the wire wheels better. Currently the auction is at $22K with 2 days to go, reserve not met. There is much discussion on this post about the 283, which is an awesome engine, but that is not what engine is in this car. It has a 383, which I think most of you are aware, is an 030 over 350, with a 400 cu in Crankshaft. To me, it makes the car better. Likely worth less, (not worthless) but a lot more fun to drive. 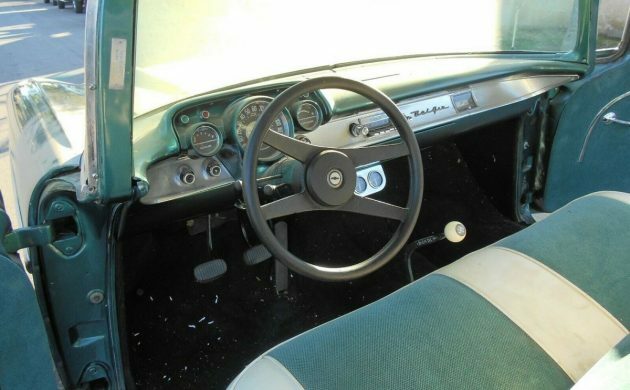 It is funny that we all picked up on the awful steering wheel, but those Vega and Camaro steering wheels were all the rage late 80’s Glad we came to our senses Looks like a nice car, I don’t think the buyer will go wrong, if the reserve is hit soon. My guess it’s a $25k car, maybe $30K tops? Ya never know. Gool luck to buyer and seller. Hi @David Bourland… If you click on the link in the article above “here on eBay” then click “View Original Item” you can see the status for (I believe) 30 days. 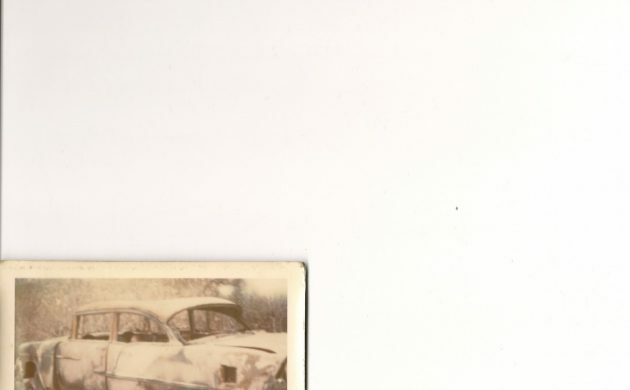 In this case… “Current bid:US $22,200.00 Reserve price not met [ 62 bids ]” so in this case No Sale because the seller wanted more than $22,200 to even get the auction started. Thanks for asking! Mr Fitch I tried here on Ebay but view original item didn’t come up, also wondering is the seller going to put it back on Ebay? I thought when it was on Ebay it advertised being a 383,I could be wrong but I see here it is a 283.